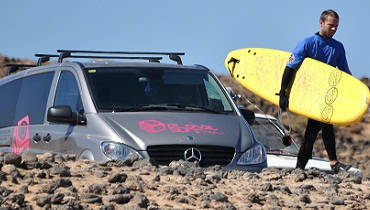 Surfing is our life. We surf since we are little and we grew up with waves and ocean. With that we know what is important and we want to pass on our experiences. To convey this incredible feeling our main emphasis is the training. If you learn certain sequences of movement wrong in the beginning it is difficult to break you off this. The sooner you start with a kind of sport, the bigger is the success. 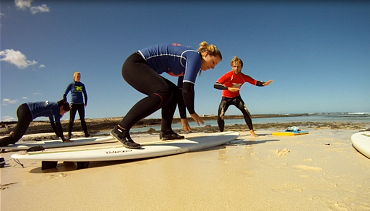 With that we offer our family surfcamp where not only Mom and Dad can go surfing, but also the kids get involved and the entire family can experience a surftrip. Our self-developed schooling concept will help you – no matter if young or old – to stand up on your board and you will surf green waves very soon. Of course, the fun factor and the personal success are in the foreground and our family surf school has to be a fantastic experience. Nevertheless the right technique is the major issue in our camp and we attach big value on it. It is decisive to step forward quick and to guarantee a sense of achievement. On the same time you are to have fun or lose the fun factor it before you have even started. So you learn the right steps to do the take-off from the beginning and not – as unfortunately it happens in many other schools – to stand up with the knees. To teach you perfectly we only hire trained and licensed surfinstructors who exactly know what matters and we demand from them that they have a long year experience on the surfboard. 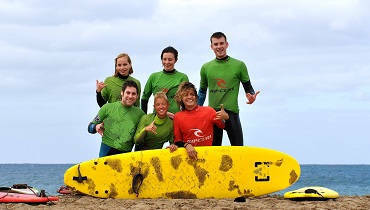 With our surfteachers you can feel comfortable, you are always in good keeping and you can feel save in the water. 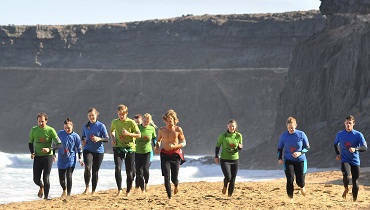 They are all trained lifeguards and rescuer. 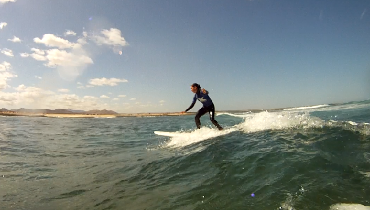 Come with your family to our family camp Fuerteventura and our family surf school and enjoy a great holiday with much sun, great waves and a lot more!